The first ever Debica high performance winter tyre, the Frigo HP is designed for drivers who value dynamic driving in tough conditions. Equipped with a number of innovative technological solutions, the Frigo HP delivers high performance in every kind of winter condition. Wide circumferential grooves enable greater water and slush dispersion at higher speeds, greatly reducing the risk of aquaplaning. 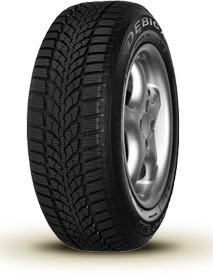 Meanwhile flat tread contour offers high mileage and balanced performance across the whole tyre width.